ANTRIM produced a massive upset as they fought back from nine points down on Saturday to defeat Laois in an epic All-Ireland Senior Football Championship Round One Qualifier, writes David Mohan from O’Moore Park, Portlaoise. Dermott McAleese scored a late goal to give Frank Fitzsimons’ Saffrons their first lead of the game with just a minute of normal time remaining, and after some disciplined defending, they held off the hosts and broke away as Paddy McBride hit the insurance score to secure a memorable victory. Sorry Antrim trailed by 1-7 to 0-1 after 24 minutes with Paul Kingston blasting into the net to underscore the home side’s first-half dominance. 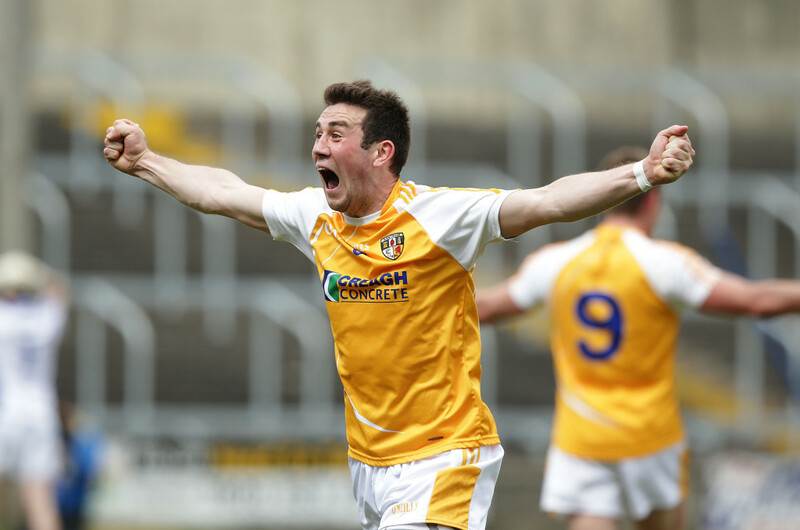 Prior to this, Donie Kingston and Ross Munnelly had been prolific for the hosts, but Antrim began to claw their way back with scores from Ryan Murray and Micky Pollock as they trailed by seven at the half. 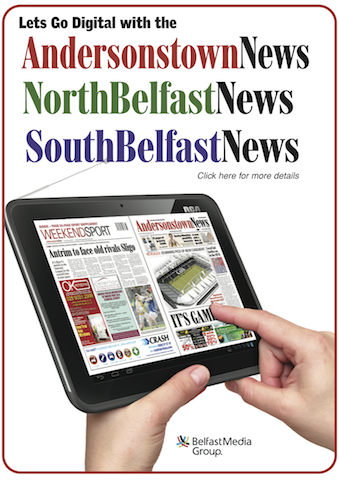 Antrim goalkeeper Chris Kerr kept his side in the game with a penalty save from Munnelly on 39 minutes when his side trailed by eight and this seemed to galvanise the Saffrons who hit four quick points in a row before Ryan Murray found the net to leave the minimum in it. However, Laois seemed to weather the storm and found themselves four in front with six to play, but even then Antrim were not done. Benny Hasson and Pollock split the posts at the other end to reduce the gap to two before Ryan Murray fed McAleese who coolly finshed to the net to send the small band of Antrim supporters into raptures. Antrim held their nerve in the closing moments with McBride making the game safe as Laois’s Brendan Quigley saw red for an off-the-ball altercation with Mark Sweeney. Then it was tike for Antrim’s players and management to celebrate a famous victory. “We asked questions of each other at half-time and the boys came out and stepped up to the mark. Justin Crozier was absolutely superb there today – every one of them was,” said a delighted Fitzsimons, who must now prepare his charges for a return to Brewster Park to face Fermanagh in Round Two following this morning’s draw. “We had a feeling that Laois might tire and that just seemed to work out that way for us. Hats off – they are a smashing side, but that’s some victory for us.